He is back in the Antelope Valley. The Eastside High School 2011 graduate headed off the to College of the Canyons for two years to take classes but…not to play basketball. During those two years he noticed that he was missing basketball more and more. He took a long look at where he was going and decided he was going to take a shot make the elite Antelope Valley College team. He said he had heard nothing but good things about the coaching staff at AVC and decided to get back into shape and give it a shot. 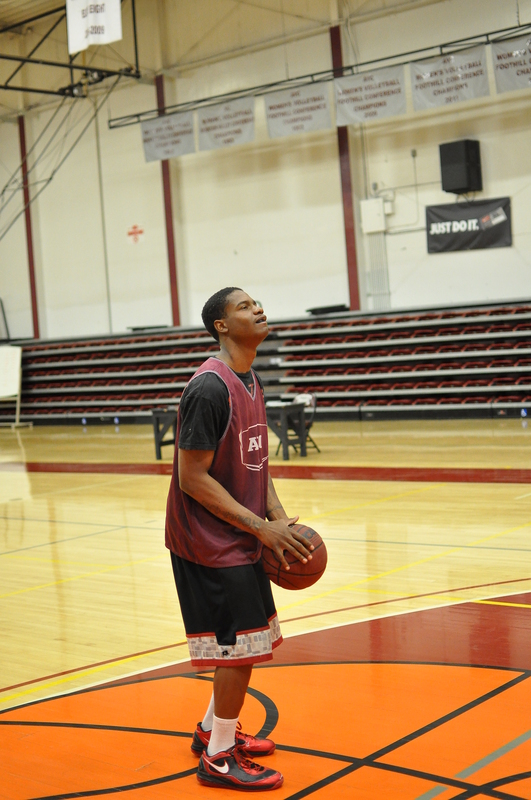 Moore knows that he is a long shot this year at AVC after two years of being out of competitive basketball. His goals are to make the AVC team, get a university scholarship and finish his degree in Kinesiology. Quincy is at every basketball class. He is improving, getting into better condition and is ready to give it all he has. Quincy is hoping to live the dream that he has about playing basketball.